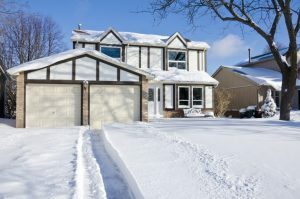 If you live anywhere that it gets below forty degrees regularly during the winter and own a garage door, then chances are that you have noticed a few issues. These issues stem from the cold and range from minor to severe problems. They only get worse the colder it gets. Though, sometimes even a sudden warming and then cooling of the temperatures can make problems a lot worse as well. 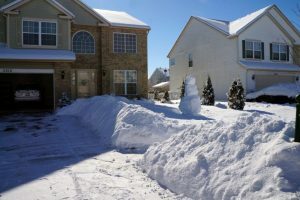 This, in general, will cause you problems as your garage has an importance in the winter months. It allows you to enter and leave your home in a more climate controlled environment. So, what are they and what can you do about them? Don’t Let Your Garage Door Springs Freeze! First, what are garage door springs and what do they do? These are tension springs that basically support the weight of your garage door. Not to be confused with your garage door tracks and other supports. They counteract your garage door’s weight with gravity and allow it to be opened and closed with ease. Without them, you or your garage door opener will be in trouble. They get brittle and tend to break in below freezing temperatures. The simplest solution to this is to put a heater in your garage. You also might want to insulate your garage door and the rest of your garage so that this actually works. Sounds impossible, right? Well, you definitely need to do this to the best of your ability. If ice forms at the bottom of your garage door it will be stuck down. Oh, you will still be able to get it open, but it will rip the rubber off the bottom of your garage door and possible rip the bottom off of your garage door. If it is too late, don’t just open your garage door. Get some hot water or a hair dryer and melt it first. Lubricating oil doesn’t typically freeze, so this will stop any other moving parts from breaking when it is just that cold. You want to take away some of that friction in the cold so that parts like garage door rollers do not break or crack. If you notice your garage door having problems in the cold then make sure you take care of it appropriately. If you do not, then you will have increasing problems that could lead to costly repairs. 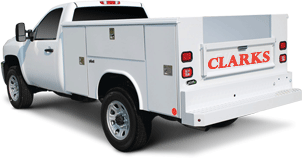 If it is too late, then you can call (213) 769-1370 and Clarks Garage Door & Gate Repair can help you. We will make those costly garage door repairs as affordable as possible. Not to mention, our skilled garage door repair techs can advise you on the best ways to avoid them again in the future. Again, just call (213) 769-1370 for a Clarks Garage Door & Gate Repair representative and we will help, even if you just need advice on how to keep damage to your garage door from the cold from happening. Sick Of The Mice Partying In Your Garage?